Sorry we are too busy working to develop our children at our school as well as our communities, that is why there is no festive celebration for our kids this year, said the AKC project director, Samnang Chhon explaining the absence of International & Cambodian Children’s Day Celebration 2016. If you hit the above link you will see our care to promote the basic rights of the children and care about their welfare back in 2012. By that time, the International & Cambodian Children Day celebration which was to be held on the first of June, was not so in common, that was the reason we started to build the awareness to the public, especially at the remote community level of how important the children and their basic rights are, YOU CAN READ FULL EVENT REPORT HERE. In the recent years, we have noticed that the celebrations have been increasing significantly, as of 2016 almost every local TV channel, school, organization, and institution celebrated this child events. As mentioned by our director above, we see that there is no need to make the celebration, national levels have made it publicly with many modern means. Additionally, our team are busy with other important and top priority work to serve our children and this meant much more for them to our perspective. 1/- We are working to improve the school and classroom condition, fans and electricity installation, bathroom maintenance, fence developing…. 2/- We are trying to send at least six more candidates from our school and communities to do the vocational training course in tourism, one to Paul Dubrule, and five other to Haven Cambodia which is our best way to reintegrate our students and volunteer team. 3/- We are trying to send at least seven candidates to do an Interactive Teacher Training Course on the Teaching English as a second language TESL at Australia Centre for Education (ACE) Siem Reap,s, to improve and build the standard and quality of teaching English at our school, as well as developing the English ability to our team from the class. 4/- A few other work and case study with our donors and partners, to be specified when there are progressing more than 50% to our expectation at least. These all the core activities that our local team are approaching to get done within this month, and that is why we left the celebration of International and Cambodian Children’s Day on 1st June 2016 quiet, even we know that kids love it. Hope you find our work important same as the spirit our local team, and please bear with us that without you, your support, motivation and encouragement, it is really hard for us to invest our little time into a productive work, we need YOU. Appreciate our work, please spread the word as one of the greatest mean to help Angkor Kids Center. 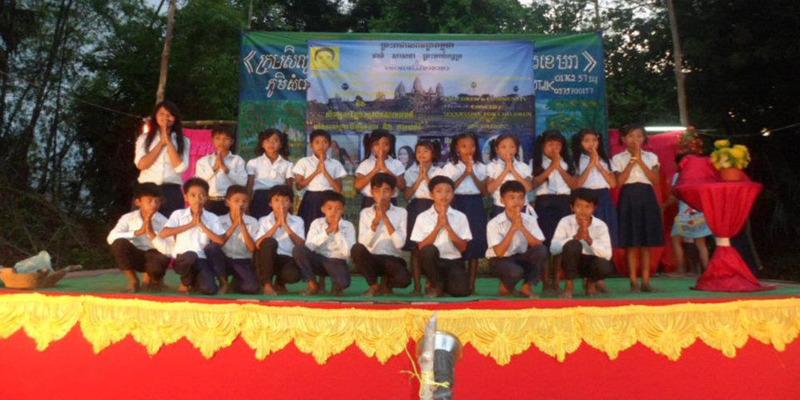 Angkor Kids Center, For better education in Cambodia!